In a closely contested betting market, Canada are the narrow favourites to win the IIHF World Championship 2019 and should certainly go close. Sweden will be looking for their third consecutive title win, so they are clearly a team that has to be considered among the betting favourites. The Russians should also be strong contenders and Finland will be expected to challenge too. The Czech Republic should have a strong player roster and benefit from playing in neighbouring Slovakia. ? ? What does IIHF mean? The International Ice Hockey Federation (IIHF) was founded in 1908 and is a federation of member national hockey associations governing the sport of ice and inline hockey for both men & women. ? ? Which country will host the next hockey World Cup? The 2019 Ice Hockey World Championship is to be held in Slovakia this time, with games taking place in the major cities of Bratislava and Kosice. The next Ice Hockey World Championship will be held in Switzerland in 2020, with games taking place in the cities of Lausanne and Zurich between 08 and 24 May. ? ? Who won 2018 Hockey Championship? Sweden won the IIHF World Championship 2018 by beating Switzerland 3-2 in OT in the final in Denmark. ? ? Ice Hockey Winners – Which Country Has The Most Hockey World Championships? Russia/ Soviet Union have won the World Championships on 27 occasions (5 and 22 titles respectively). Canada, having won 26 World Championships, are just one adrift of the Russians. The Czech Republic have won on 12 occasions (six times as Czechoslovakia) and Sweden have 11 wins. The initial Canadian roster is likely to be confirmed following the close of the NHL regular season. Last year’s Canadian roster included six players who featured in at least one of the medal-winning teams in the three years prior to that. The Stanley Cup playoffs will certainly be a factor in the availability of some players. The IIHF World Championship 2018 saw TSN and RDS, Hockey Canada’s official broadcast partners, carrying 64 and 31 games respectively. All of Canada’s games were also broadcast on TSN radio. 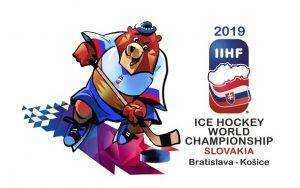 Details of live streaming via bookmaker sites of the IIHF World Championship 2019 will be available nearer the time. For those who have the time and money, there are a variety of ticket options available at the IIHF World Championship 2019. Day packages for preliminary-round games in Bratislava cost from €45 to €115 (2nd category) or from €70 to €155 (1st category). Prices of preliminary-round day packages in Kosice vary from €45 to €135 (2nd category) or from €60 to €175 (1st category). The price of the day package for the quarter-finals is €125 (2nd category) or €180 (1st category). For the semi-final day package it is €290 or €360, and the day package for the bronze medal game and the gold-medal game costs €400 or €475. Fans who want to buy tickets for either city must fill in the registration form on the official ticket seller website. You will need to fill in their first name, surname, e-mail address and phone number to which they will receive a verification code in an SMS text message. Only after the verification is complete is it possible to buy IIHF World Cup tickets. This step is a preventive measure against resellers. The measures in place for the Ticketportal stores are still in place as well. Tickets can be bought or booked only online on 2019.iihfworlds.com. There are 2 options available. The first is to buy so-called home tickets – tickets which can be printed off at home after your purchase. The second option is to generate an online booking code. In this case fans can buy the so-called hard ticket in one of the Ticketportal stores. The last stage of the 2019 IIHF Ice Hockey World Championship ticket sale will start in February 2019 when single-game tickets will be released for games that are not already sell outs. The participants must submit the names of a minimum of 15 skaters and two goalkeepers at the first Directorate meeting held at the start of the Championship. Thereafter, players can be added throughout the tournament until the roster is full. A maximum of 25 players (22 skaters & 3 goaltenders) are allowed on a Team Registration Form at the beginning of the World Championship, which must be submitted 2 hours before any of the following championship games. With the tournament overlapping with the NHL’s Stanley Cup playoffs, many NHL players will only become available if their NHL team did not make the playoffs, or once they have been eliminated from the Stanley Cup. Consequently, some NHL players typically join the World Championships while the tournament is already in progress. Patrick Kane of the Chicago Blackhawks has been appointed Team USA captain for the second straight World Championship finals. Alain Vigneault has been named head coach of Canada for the 2019 World Championship, with Dave Hakstol, Kirk Muller and Lindy Ruff appointed to serve as assistant coaches. Jeff Blashill will serve as USA head coach, assisted by Dan Bylsma, John Hynes and Kevin Reiter. It’s the third straight year for Blashill at the helm, having guided the USA to a combined 14 wins in 18 World Championship games previously.